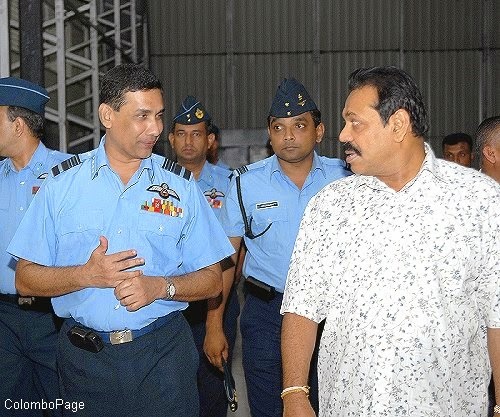 Former Air Force Commander Air Marshal Roshan Gunatilleke has been summoned to FCID today (20th). The FCID expects to record a statement from in connection with the controversial ‘MIG’ transaction. Cut off marks of the G.C. E. Advanced Level Examination in the year 2015 have been relesed by the University Grants Commission (UGC) today (20th). 309,069 candidates sat for 2015 examination in which 236,072 candidates were school applicants and 72,997 private applicants. 27, 603 students will be enrolled this year in all government universities. Cutoff marks for the G.C. E. Advanced Level Examination can be obtained by logging onto www.ugc.ac.lk. 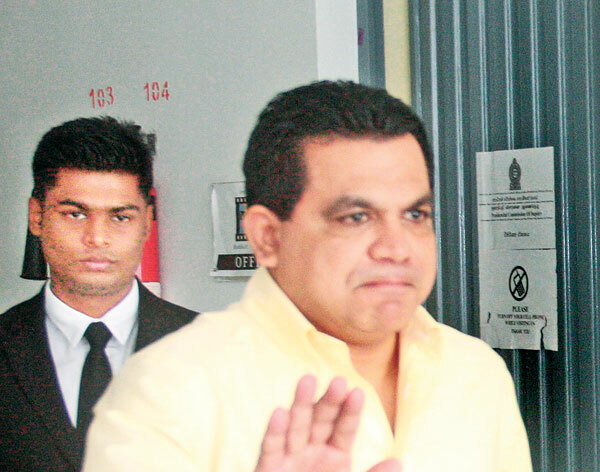 Former UPFA Parliamentarian and ex- Chief Executive Officer of Mihin Lanka Sajin Vaas Gunawardena was released on bail today by Colombo Chief Magistrate Gihan Pilapitiya. He is charged of entering into an illegal contract worth Rs.883 million with a Singaporean company to obtain ground handling equipment for the airline. He was noticed to appear before the Court today and the case was filed by the Commission to Investigate Allegations of Bribery or Corruption. Colombo Chief Magistrate Gihan Pilapitiya released the suspect on Rs. 250, 0000 cash bail and four sureties of Rs. 10 million each. The case will be taken up on 4th November. The rainless weather experienced by the island would continue for more days states Meteorological Depatment. However, several areas in Western, Sabaragamuwa, Central and Southern provinces could get light drizzle and Uva, Eastern and North Central provinces would experience thundershowers after 2.00 p.m. states a communiqué released today (20th) morning. There could be high winds in certain areas in the Southern, Western and Sabargamuwa provinces as well as in the Southern sea states Meteorological Department. The strike launched by employees of Lake House against the move to punish employees who raise their voices against the denial of their rights has been terminated. The strike was launched against the move to punish several activists including the leaders of Lake House Independent Trade Union who struggled for a salary increase of Rs.2500 through a collective agreement and also due to the silent policy followed by the authorities when demands for solutions for employees’ grievances were put forward. However, after a discussion trade union leaders had with the Chairman of Lake House a promise was given to find solutions for employees’ grievances and grant a salary increase of Rs.2500 through a collective agreement. Several trade unions including that of teachers, telecom supported the struggle carried out by employees of Lake House and the authorities had to close down all sections of the Lake House due today due to the strike action. The Old Students Union of Niwarthakachethiya MV and parents have engaged in an agitation against Chief Minister of North Central Province Peshala Jayaratna for transferring, on his direct orders, the Principal of the school Karunaratna Bandara to Galkulama Vidyalaya. Another protest campaign has been organized by Lanka Teacher Services union protesting against removing the Principal from the school. Old students, parents, teachers, principals had walked from Niwarthakachethiya MV to Governors Office and had had a discussion with the Governor regarding the issue. Parents complain that Principal Karunaratna Bandara was transferred from the school for not having a ceremony with politicians to ‘celebrate’ the school getting Rs.500 million on the project ‘Closest school is the best school’. Parents and students say a person amicable to Peshala Jayaratna has been appointed as the new principal and during the past 3 years six principals were appointed and transferred from the school. They say Mr. Karunaratna Banda worked for the betterment of the school and the students and say they want him back as the principal of the school. Meanwhile, a group of parents of students in Dhammadinna MV at Galkulama are engaged in an agitation near Galkulama clock tower against the Chief Minister Peshala Jayaratna complaining that he is deliberately delaying the construction of two storied buildings for the school. Eight suspects including former DIG Vass Gunawardena, his son Ravindu Gunawardena and wife Shyamali Gunawardena were served indictments in Colombo High Court today (19th) in connection with abducting and assaulting Nipuna Ramanayaka, a student of SLIIT in 2009. Colombo High Court Judge Pathmini N. Ranawaka subsequently released the suspects on cash bail of Rs. 50,000 with two sureties of Rs. 500, 000 each except Vass Gunawardena and his son who are sentenced to death over killing of a businessman. The trial was fixed for 6th, 7th and 8th February, 2017. The media had reported that Nipuna Ramanayaka was abducted and beaten up by Shyamali Gunawardena and Ravindu Gunawardena with the knowledge of Vaas Gunawardena. 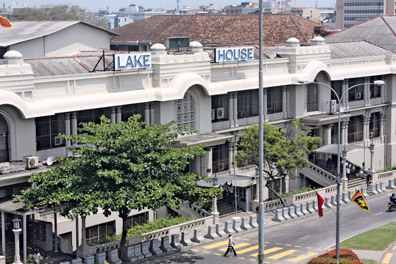 Lake House employees have begun a strike to protest against failure of the authorities to grant them their vocational rights and the witch-hunt being carried out against employees who voice their grievances. Many employees are engaged in an agitation opposite Lake House. A trade union leader said the employees commenced their strike action against the move to punish several activists including the leaders of Lake House Independent Trade Union who asked for a salary increase of Rs.2500 through a collective agreement and also due to the silent policy followed by the authorities when demands for solutions for employees’ grievances are put forward. From India comes influenza virus! The deaths of two women who died of a respiratory disease at Arachchikattuwa area recently could be due to infection of an influence virus states Director of Chilaw Base Hospital Dr. Dinusha Fernando. The two women have died after they were hospitalized due to a disease infected during a pilgrimage to India. It is reported that four influenza AH1, N1 patients have been identified in Sri Lanka at present and two of them have died. All Ceylon Nurses Union in a communique states there is no facilities to treat such patients in district hospitals and special ward complex to treat such patients should be established as hospital staffs are exposed to infection due to non availability of N95 surgical masks, aprons and gloves. The Nurses Union points out treating the two patients admitted to Chilaw Hospital exposes the hospital staff as well as the patients to very high risks.